Congratulations to all the winners in the NORTH COUNTRY MUSIC AWARDS SHOW held 9/3/2016 at the Schaghticoke Fair! And special recognition to RICHIE PHILLIPS for his outstanding contribution to Country Music through his talents on radio and his “Rhymin With Richie” program in schools. Very special thanks to Kevin Richards & Richie Phillips for hosting the awards show, Mark Pierre and MP3 also Kayla Sarro for their outstanding performances, Vito Cicarrelli, Gregg Simmons, Mark Pierre, Kayla Sarro, Sue Bogucki for helping to present awards as well as Lyric Westervelt in handing out trophies. 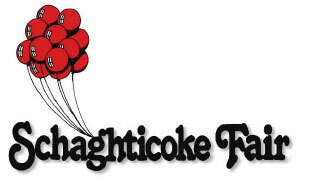 Deep appreciation to the Schaghticoke Fair for their sponsorship. Sound reinforcement was provided by John LLoyd Sound and Lighting by Gene Krein of Back Stage Productions, catering by Rosemary Staats of Big House Entertainment Group, Inc.